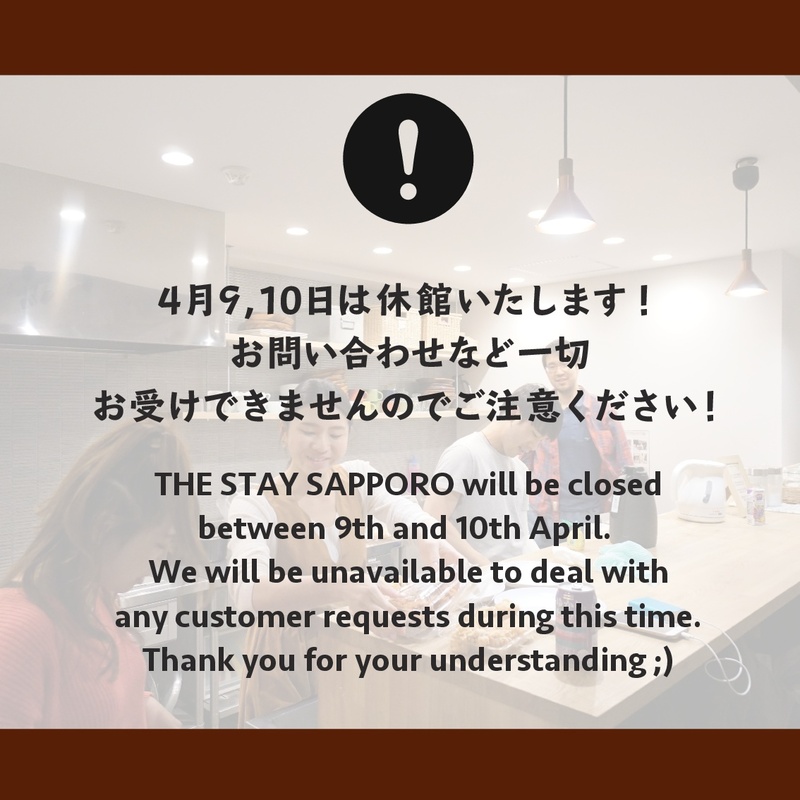 THE STAY SAPPORO is closed on April 9th & 10th due to maintenance. ◉We are not able to keep your luggage during the maintenance. ◉We will be back to normal operation after 8:00am on April 11th.